"Steer your rocket through dangerous platforms"
Game Goal: You have to go through different levels jumping and flying through a world created with geometric shapes. How to play: You must avoid all obstacles to avoid losing lives, in which case you would have to start over. Graphics: They have of very good quality; the designs are very simple but fit the game's geometric aesthetics. Sound: Well-designed; they perfectly manage to achieve a futuristic atmosphere. Content Classification: For all age groups. Installation requirements: A minimum of 58M of free memory space and Android 2.3.3 or higher. 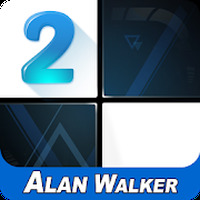 Rating: The TOP 10 Most popular games in Speed Games category. Ranking: The TOP 5 Most downloaded games in Speed Games category. Not the typical platform game. You need very good reflexes. THe music is one of the main attractions. 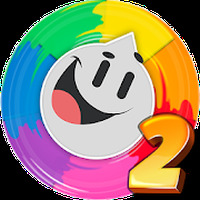 A dynamic and very entertaining game. Some levels are very long and complicated. Whenever you lose your life you must restart the level. 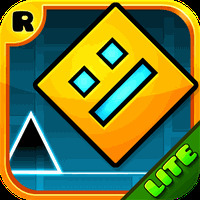 Do you like Geometry Dash Lite? Super fun really fun!! ? ?